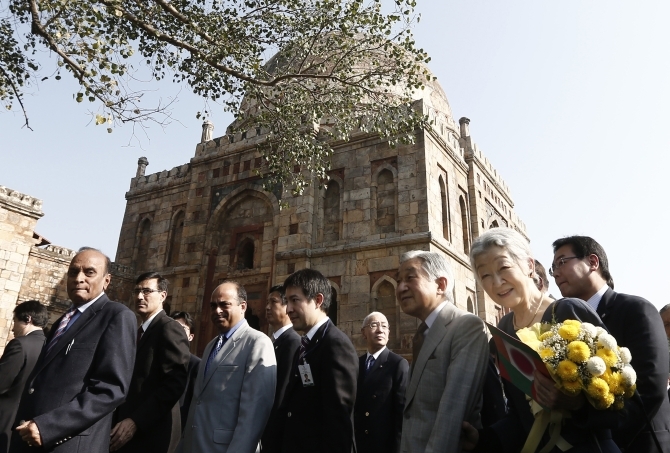 Japanese Emperor Akihito and Empress Michiko took a morning stroll at the beautiful Lodhi Gardens and interacted with schoolchildren, diplomats and a section of lay people on their historic visit to New Delhi. The royal couple took an early morning stroll at the Bada Gumbad Gardens and expressed interest in various trees and plants, especially the Asoka and the Peepal, pointing to them as they walked on the lawns. The national Bonsai park inside the gardens also caught their interest. "The Emperor took a lot of interest in the flora and fauna. He was very curious about the Asoka tree. It was the Buddha who had carried the Asoka tree to Japan, so perhaps that was why he was interested," said S K Mathur, advisor, floriculture, New Delhi Municipal Council, who was among those who escorted the royals around the garden. Mathur said the Emperor appreciated the bamboo collection and the bonsai plants. "He was impressed with the Buddha coconut tree and wanted a plant of this. We are trying to work out something. He also expressed wish to have a plant of the Neem, a tree, of which every part, I told him, contained medicinal properties." Spread over 95 acre and 38 hectares, Lodhi Gardens, which houses the tombs of Mohammed Shah and Sikander Lodi, contains architectural works of the 15th century Pashtun dynasty. It is also home to around 300 species of flowers and 50 species of birds and also contains a public national Bonsai park. 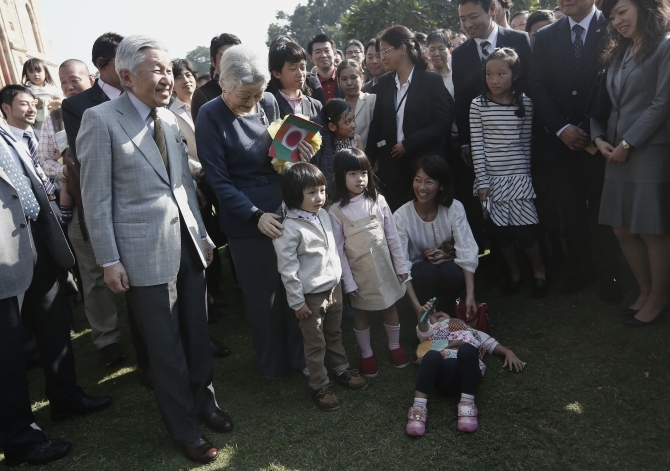 As the royal couple entered the Lodhi Gardens, school children raised their right hands in a wiggle, a traditional Japanese greeting. I heard a lot of things, especially about their automobile industry. I am really into automobiles and the contribution of Japan is really great," Siddhartha said. It was then the turn of the Empress, who the schoolboy says quizzed him about Suzuki, the Japanese carmaker. 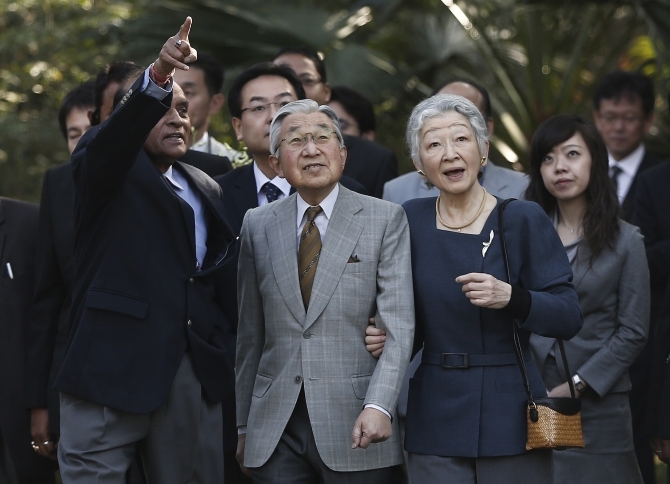 "She started laughing and asked me whether Suzuki is popular here and I said oh yes," Siddhartha said. His schoolmate Akshala said she found the couple "really sweet and nice". 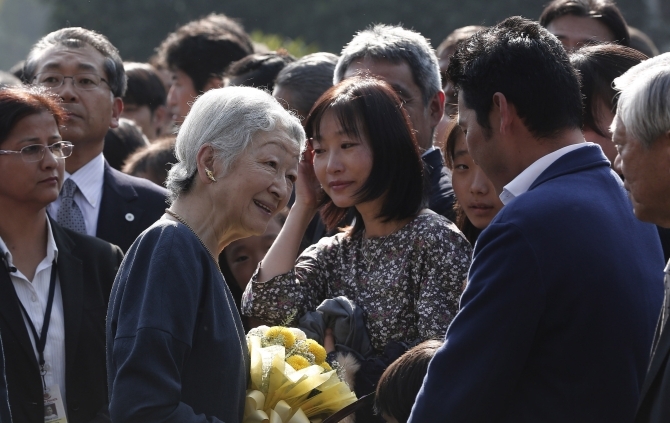 "I shook hands with both of them and the Emperor asked me about the hand wave we did in his honour and asked me whether I came often to the Gardens," she said. For Yuriko Lochan, a Japanese artist who has been living in India for the last 25 years, the visit was "very emotional." "All the experience of my parents and myself growing up in Japan and staying here in a different country for 25 years surfaced and seeing them has made me very emotional," said Yuriko. The artist, who is married to an Indian, said the royal couple reminded her of her parents. "My first impression of them was that they have grown so old. I feel a sense of attachment to them, a kind of 'lagao' and 'pyaar'. They are now parents and grandparents and despite everything, and in that position, coming here and interacting with people is really touching," she said. The Emperor, dressed in a pale grey coat with a brown tie, and the Empress wearing a charcoal blue-coloured top and walking pants, were cheerful and smiled and bowed, stopping to speak to children and adults, sometimes extending a handshake. "My daughter, who is five-years-old, presented the couple a drawing she made of them and they were very pleased," said Nami, a Japanese woman who came dressed in a bright blue sari. Lal Chand, a government officer, told the Emperor about how he remembered his visit to Delhi in 1960 as a crown prince. "I was a student in Std VII and remember how my school had taken me to see him at the Children's Park and they had played the Japanese and the Indian national anthem. Today, I am meeting him again after 53 years," Chand said. A five-year-old girl offered a bouquet to the royal couple, who patted her on the head and talked to her mother. “The Emperor asked me whether I had ever been to Japan and I told him I am planning to visit during the 2020 Olympics in Tokyo with my husband who is assisting the national Olympic team," said Raymandeep, a teacher at Sardar Patel Vidyalaya. Among others present were former ambassadors to Japan and other dignitaries like Rajendra K Pachauri, chairperson of the Intergovernmental Panel on Climate Change, which was awarded the Nobel Peace Prize. 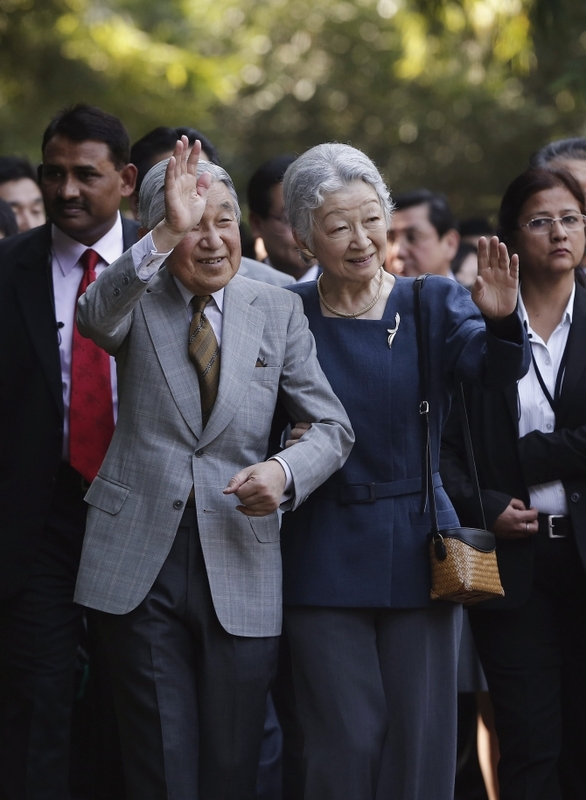 The Japanese royal couple's visit comes 53 years after their trip to India as crown prince and crown princess in 1960, the first by an Emperor and Empress of Japan to any South Asian country.